DETECTIVE: Is this man your brother? CHICO: I don't remember. It was during the epidemic. By the early twenties, the Marx Brothers had conquered vaudeville. Seeking new horizons, they accepted a booking in England, without the approval of the Keith-Orpheum office. They returned home to face the wrath of vaudeville kingpin E.F. Albee, and the Brothers were blacklisted, broke, and on the brink of oblivion. 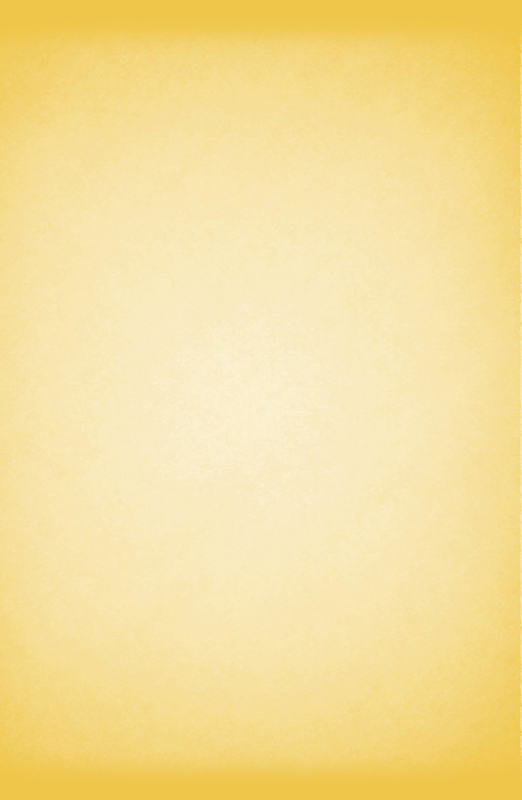 production of I'll Say She Is. Meanwhile, another impasse had been reached by another brother team. Tom and Will B. Johnstone had written a series of revues for producer Joseph M. Gaites, of whom it was often said, "The M stands for Minimum." The collaboration had sustained a flop, Love For Sale (1919), starring Kitty Gordon as a bored heiress looking for thrills. It was reworked as Gimme a Thrill, which toured the doomed Shubert Advanced Vaudeville circuit in 1922, and also flopped. In March of 1923, the Marx Brothers met the Johnstone brothers. The encounter led to a new iteration of "the thrill show," incorporating some of the boys' vaudeville material, and culminating in an extended sketch about Napoleon. I'll Say She Is was a smash at the Walnut Street Theatre in Philadelphia in the summer of 1923. But Gaites and his financier, James P. Beury, kept the show on the road for a year before daring to lay it at the feet of the New York critics. I'll Say She Is opened at the Casino Theatre, Broadway and 39th Street, on May 19, 1924. It was a phenomenal success, lavishly praised by Algonquin Round Table tastemakers like Alexander Woollcott and Robert Benchley. The Marx Brothers became the darlings of the New York smart set and the preeminent jesters of the Jazz Age. I'll Say She Is set the tone for the rest of the Brothers' career. Will B. Johnstone remained a key collaborator, contributing to the screenplays of Monkey Business, Horse Feathers, and A Day at the Races. Every Marx Brothers film contains material and situations that can be traced back to I'll Say She Is. However, unlike their next two Broadway musicals, The Cocoanuts and Animal Crackers, I'll Say She Is was never adapted for film, or revived onstage. It had a wildly successful run at the Casino, closed on February 7, 1925, spent a few more months on the road, and was not seen for the next ninety years. "ALL TRACK RECORDS OF THE YEAR WERE SHATTERED!" "A QUICK EXTRAVAGANZA OVERFLOWING WITH JOKES, DANCES, AND BALLADS." Percy Hammond, Herald-Trib. In 2009, New York playwright, lyricist, and Groucho Marxist Noah Diamond began working in earnest on the project of researching, restoring, and adapting I'll Say She Is, with the hope of bringing the work back to the stage. My primary source was Will B. Johnstone's rehearsal typescript: thirty-two pages of rough dialogue, with song titles and cues. The typescript is more an outline with dialogue than a working libretto. It was committed to paper in the spring of 1923, prior to the Philadelphia opening, a full year before the show reached Broadway. Undoubtedly, it was embellished in rehearsal and performance. I interpolated material from other extant versions of certain scenes, and filled in details culled from firsthand recollections of the show. I unearthed hundreds of news clippings related to the original production, some of which described scenes and quoted dialogue. I retrieved ad-libs recorded by Broadway columnists. I filled in the gaps with surviving fragments of the Brothers' vaudeville repertoire, the earlier Johnstone revues, and the newspaper prose of Will B. Johnstone. I filled still more gaps with my own Marxist intuition, adding things out of necessity or desire or both. I managed to obtain sheet music or recordings for about half the songs from the original production. That left a handful of missing numbers, for which I had only the titles, narrative context, and, in some cases, descriptions. I recreated these songs by writing new lyrics to music from other Johnstone shows of the period, using phrases and ideas from the typescript whenever possible. In working on the adaptation, Diamond was assisted by musicologist Margaret Farrell, who is the great-granddaughter of Will B. Johnstone, keeper of his diaries, and custodian of his creative legacy; West Hyler, who guided the script through a crucial phase of its development; and Trav S.D., who went on to produce and direct the work's first public performances since the original production closed. 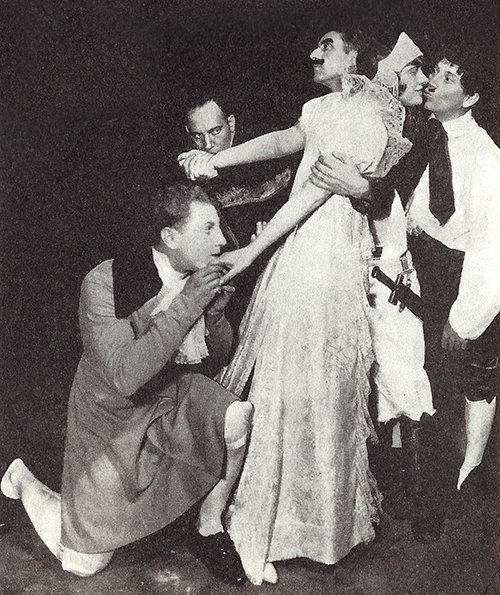 The show re-premiered at Marxfest, New York City's Marx Brothers festival, in May of 2014. The two historic staged readings at Marxfest, presented within a week of the ninetieth anniversary of the original Broadway opening, sold out quickly and generated great interest in the show. The subsequent workshop production was a smash hit of the 2014 New York International Fringe Festival, drawing critical raves and demand for tickets which far exceeded supply. Aristotle Stamat, Noah Diamond, Melody Jane, Robert Pinnock, and Seth Shelden in the 2014 Fringe production of I'll Say She Is. 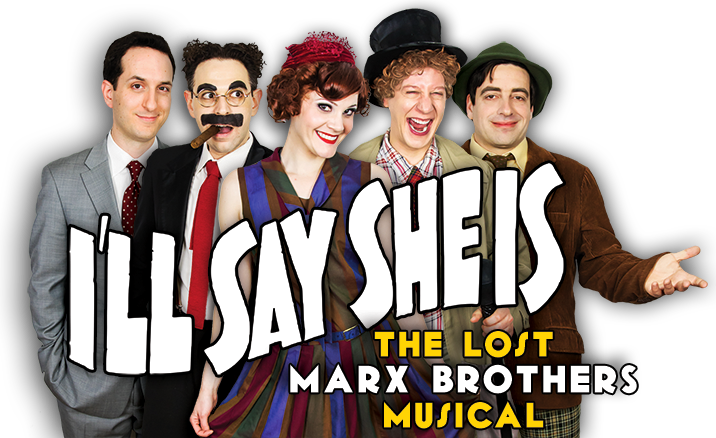 The history of I'll Say She Is continues, with a spectacular new production opening in the spring of 2016 at Manhattan's beautiful Connelly Theater. This will be the show's first proper run since the original production, and it will include many surprises not seen in the show's Marxfest or Fringe presentations. Details, as they emerge, will be posted with joyous abandon on this site, as well as our Facebook, Twitter, and Tumblr pages.